Running is high-impact sport. So, if you’re conscious about taking care of your body, there’s no reason you can’t enjoy running into your 70s or 80s. Taking care of your body can mean a variety of things, from nutrition to sleep to mental health. In this blog, we’ll go over the benefits to runners of regular massage. People have said for years that massage feels good, but research is starting to explain why that is. Here are seven reasons runners should consider getting a massage on a regular basis. Massage can improve your overall circulation, which is integral for the overall health of your body and the function of your muscles. The circulatory system carries oxygen and nutrient-enriched blood to muscle tissue and carries away metabolic waste and by-products. 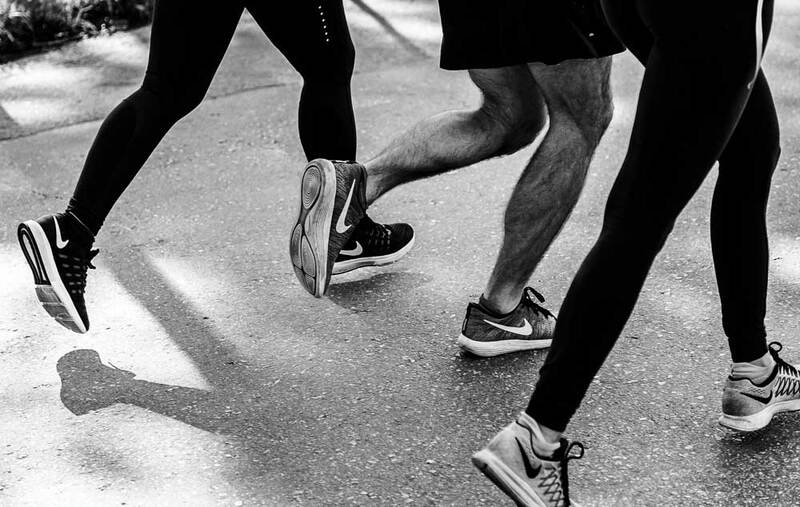 It is common for runners to have very strong, but very tight leg muscles, allowing them to run fast and far, but also reducing flexibility – but the lack of flexibility can catch up to them. It is important to balance out muscle strength with muscle flexibility in order to avoid injury and to run pain free. Tightness in your legs can translate into back pain or ankle problems. Massage is a holistic way to incorporate more balance and flexibility into your body. Research has shown that, contrary to popular belief, lactic acid buildup is not a cause of post-exercise muscle soreness. https://curiosity.com/topics/lactic-acid-is-not-what-causes-sore-muscles-curiosity. Delayed Onset Muscle Soreness, or DOMS, is the technical term for the sore, stiff feeling many runners experience in their muscles a day or two after a hard run. Research suggests massage can actually reduce the intensity of DOMS for runners. Stress can be very detrimental to our overall health and well-being, including having an impact on runners’ ability to train. Research has shown that massage reduces cortisol in the body, which is a hormone that causes stress. Mental stress you might carry around from various aspects of your life can end up taxing your body and therefore your running. Massage also encourages your muscles to relax, which in turn helps your mind to relax.